Astronomers using ESO’s Very Large Telescope, along with other telescopes on the ground and in space, have discovered a new type of exotic binary star. In the system AR Scorpii a rapidly spinning white dwarf star powers electrons up to almost the speed of light. These high energy particles release blasts of radiation that lash the companion red dwarf star, and cause the entire system to pulse dramatically every 1.97 minutes with radiation ranging from the ultraviolet to radio. The research will be published in the journal Nature on 28 July 2016. In May 2015, a group of amateur astronomers from Germany, Belgium and the UK came across a star system that was exhibiting behaviour unlike anything they had ever encountered. Follow-up observations led by the University of Warwick and using a multitude of telescopes on the ground and in space , have now revealed the true nature of this previously misidentified system. 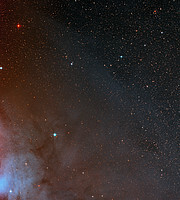 The star system AR Scorpii, or AR Sco for short, lies in the constellation of Scorpius, 380 light-years from Earth. It comprises a rapidly spinning white dwarf , the size of Earth but containing 200 000 times more mass, and a cool red dwarf companion one third the mass of the Sun , orbiting one another every 3.6 hours in a cosmic dance as regular as clockwork. The observed properties of AR Sco are unique. They are also mysterious. The radiation across a broad range of frequencies is indicative of emission from electrons accelerated in magnetic fields, which can be explained by AR Sco’s spinning white dwarf. The source of the electrons themselves, however, is a major mystery — it is not clear whether it is associated with the white dwarf itself, or its cooler companion. 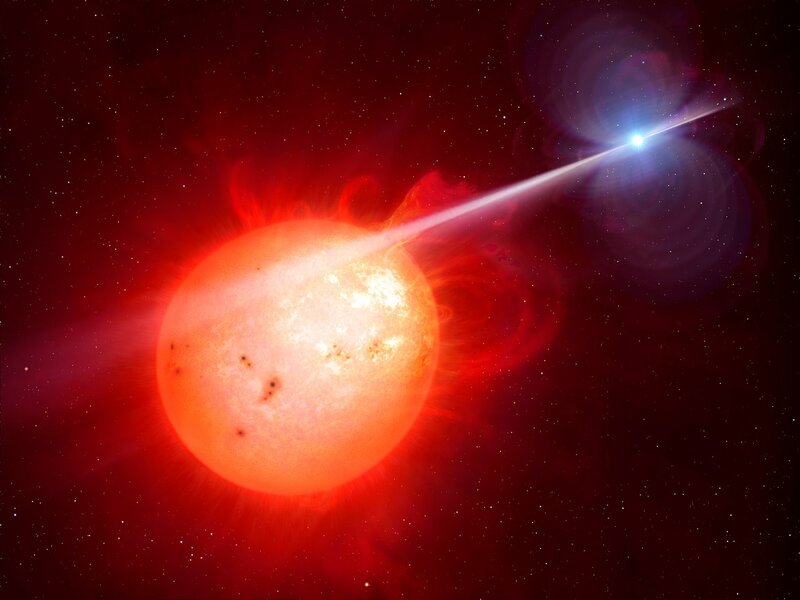 Boris Gänsicke, co-author of the new study, also at the University of Warwick, concludes: "We've known pulsing neutron stars for nearly fifty years, and some theories predicted white dwarfs could show similar behaviour. 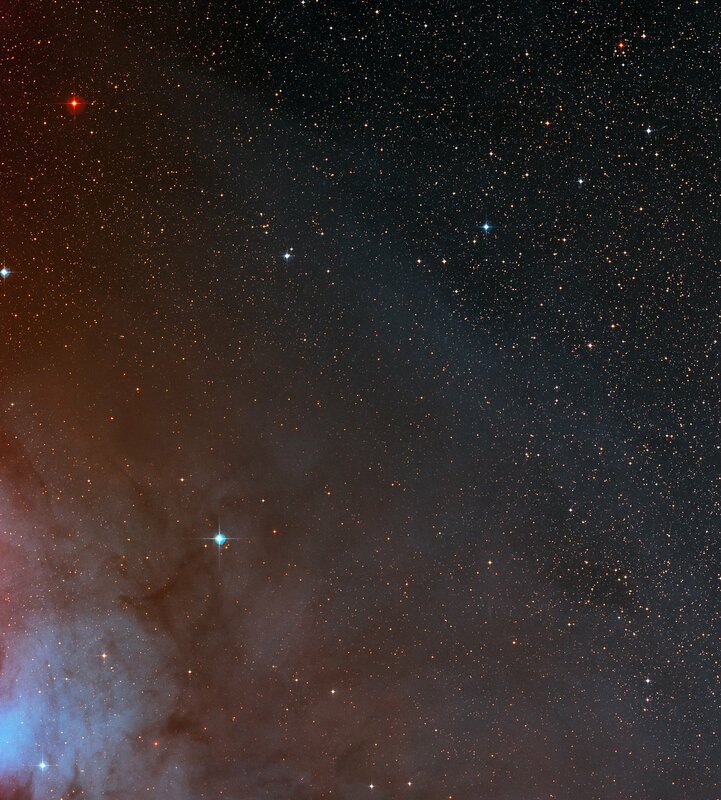 It's very exciting that we have discovered such a system, and it has been a fantastic example of amateur astronomers and academics working together." This red dwarf is an M type star. 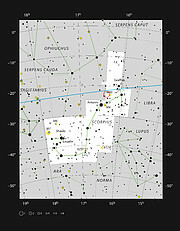 M type stars are the most common class in the Harvard classification system, which uses single letters to group stars according their spectral characteristics. The famously awkward to remember sequence of classes runs: OBAFGKM, and is often remembered using the mnemonic Oh Be A Fine Girl/Guy, Kiss Me. 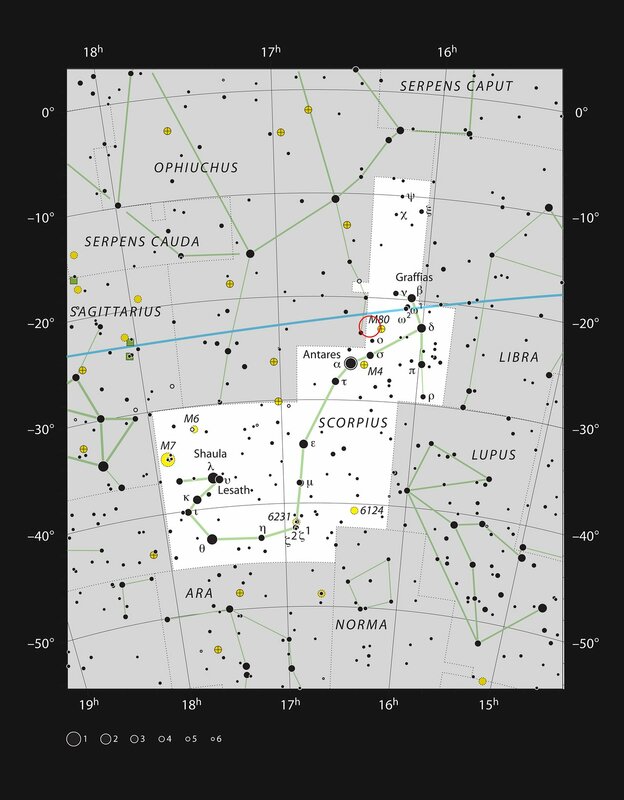 A variable star is one whose brightness fluctuates as seen from Earth. The fluctuations may be due to the intrinsic properties of the star itself changing. For instance some stars noticeably expand and contract. It could also be due to another object regularly eclipsing the star. AR Scorpii was mistaken for a single variable star as the orbiting of two stars also results in regular fluctuations in observed brightness.